Last week was the biggest literary festival in the UK, at Hay-on-Wye, a small town just on the Welsh side of the border with England. It's held there every year because, despite having a population of only about 1,900, it has more than 30 bookshops, many selling specialist or antiquarian books. The festival attracts up to 80,000 visitors each year. Over the years of researching the history of vegetarianism I have often wanted to read books written hundreds of years ago. But without direct access to a great library, or a big enough wallet to buy antiquarian books, it was never easy. So I mostly had to rely on summaries written by those who did have direct access. My one big advantage was access to the library of the Vegetarian Society UK, near Manchester, where they have copies of all the society's journals in bound volumes back to 1847. And a lot of other old books as well, the earliest being dated 1819. In 2002 it was suggested that I compile a history of IVU in time for the centenary in 2008, which turned out to be a bigger job that I expected, and resulted in monthly visits to 'Parkdale' for the next six years. 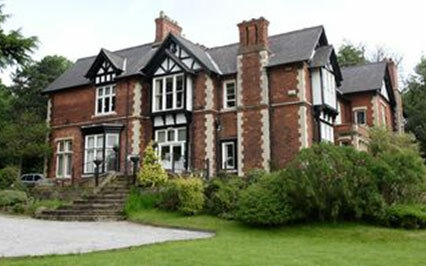 photo below: Parkdale - home of the Vegetarian Society UK which was founded in 1847, and has been at Parkdale since 1969. More about that next week as I'll being going there again on Friday. But the world is changing dramatically, thanks as ever to the internet - the biggest seller of old books is probably now the Amazon re-sellers system. But the first to put complete old books online for free was Project Gutenberg (www.gutenberg.org) which has been digitizing non-copyright books for many years, but just in a basic plain text-format. They now have about 30,000 titles online. Google's digital library (books.google.com) was launched in 2004, using scans so that the original books appear in PDF format. By the end of last year Google claimed to have over 10 million books online, though there has been much dispute with publishers about copyright issues. Microsoft ran a similar project for a couple of years, then transferred its collection to the Internet Archive (www.archive.org), which now has about 1 million books available - but they also link to Gutenberg and Google Books, making it a useful general search site. There are several other more specialized organizations with similar projects. The impact of this on researching the history of vegetariansim has been enormous - now we can easily read many of the books published on the subject over the last few hundred years. The biggest remaining problem is just finding them... given that the word 'vegetarian' wasn't used until the 1840s, and often not used in the actual titles after that, you need to have good idea of what to look for. To overcome this last hurdle, we now have our own project on the IVU website - to find links from all the above sources to every out-of-coypright book ever written on veg-related topics - and so far we have well over 200 of them. The earliest texts are from the ancient Greeks and Romans, but they didn't have printing, and of course they were written in ancient greek or latin ... so the scans are of later printed translations. But we do begin to get scans of original books from the 18th century with our earliest book being Thomas Tryon's 'Letters', published in England in 1700. 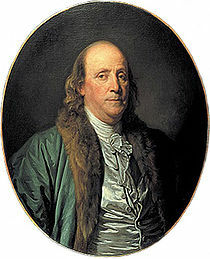 In Benjamin Franklin's autobiography (we have links to three complete editions of that) he says that when he was 16, in 1722, it was reading a book by Tryon that had persuaded him to adopt the 'Vegetable Diet' for many years - probably the 'Way to Health' published in 1691. Unfortunately we don't yet have a scan of that, but the 'Letters' are similar and give us a good idea of what Franklin was actually looking at.